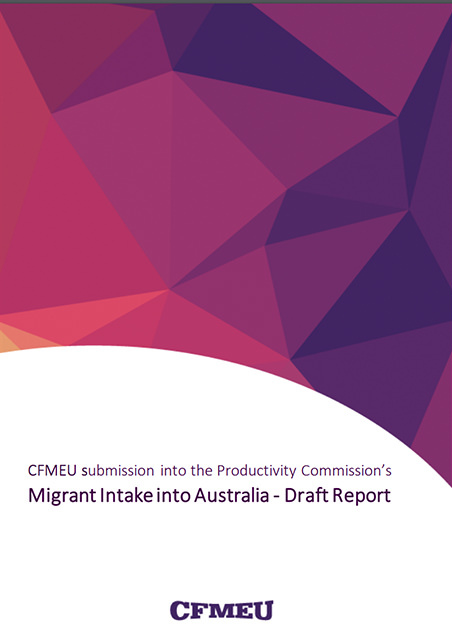 The Productivity Commission is undertaking an inquiry into Australia’s migration program and the use of charges to determine the intake of migrants. The CFMEU represents over 100,000 members around the country. We are committed to improving workers' lives through fighting for decent wages and conditions and upholding and improving health and safety standards in our members' workplaces.